Learn English By Listening – an amazing tool for anyone trying to learn English as their second language - helps you master the English language, and increase your English esl listening skills in a systematic manner. 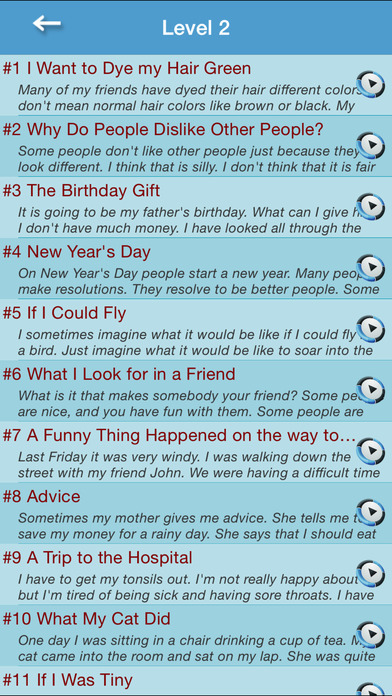 Learn English By Listening comes pre-packed with over 1500 different articles that you can listen to and practice along with at your own pace. 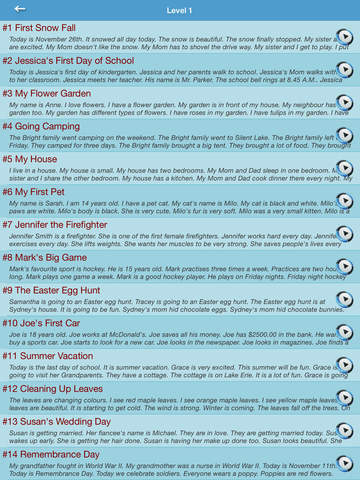 With a wide variety of articles covering an array of scenarios, listening English practice has never been easier. 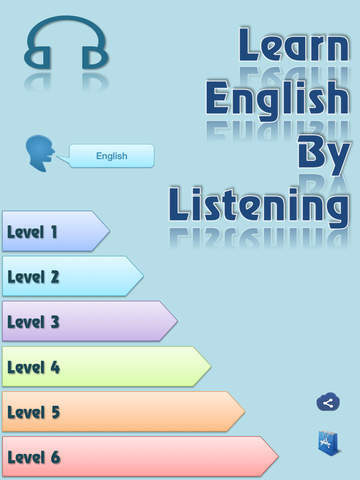 Simply download the app on your device, and start practicing esl listening from the comfort of your own home. All the articles that come with the app are categorized and divided the level; which means that you can easily start your listening English practice from the level you’re comfortable in, and work your way through the more advanced level articles and conversations. With preset scenarios that cover almost all the aspects of the daily lives, you will soon find the results of listening English practice effectively affecting your English listening and speaking skills. Learn English By Listening also comes with a built-in translator, which helps you understand the lessons more easily and with more clarity. Simply select your language of preference, and all the articles will also be shown in that language to help you better understand what the sentences mean, effectively increasing your English listening and conversation skills. 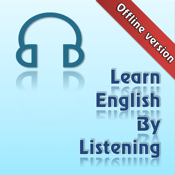 Learn English By Listening is the ultimate tool for esl listening and listening English practice for anyone looking for help in increasing their English listening skills. With this installed on your device, learning English will be easier and more effective than ever before. Download Learn English By Listening today, and start increasing your esl listening skills from anywhere, anytime you want.